It didn’t disappoint! 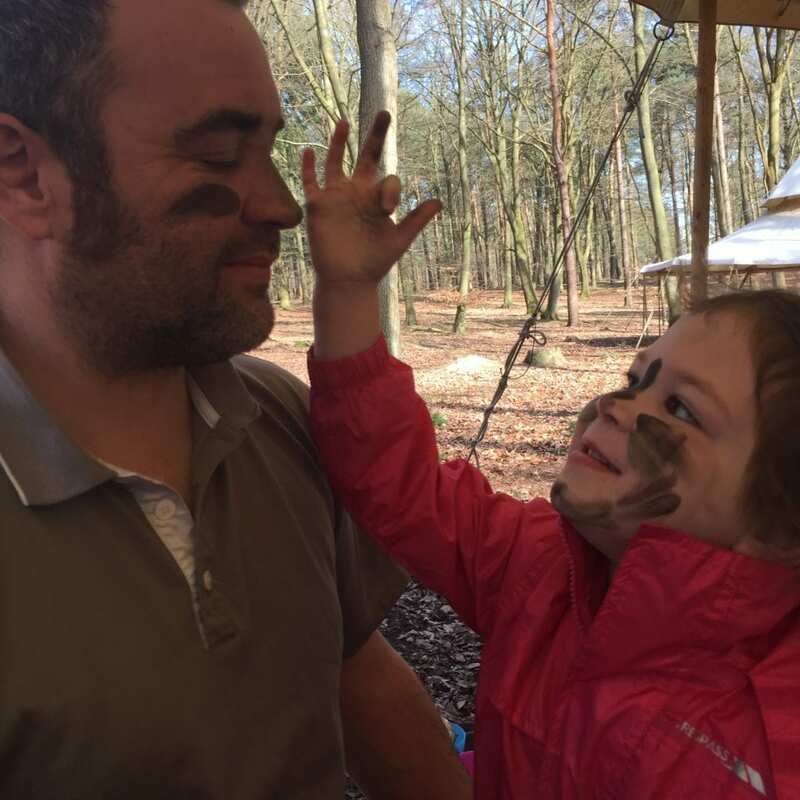 Our family Bushcraft day was amazing. We were really fortunate with the weather, and the sun actually shone! It was so lovely to spend the whole day outside as a family and everyone was so relaxed. 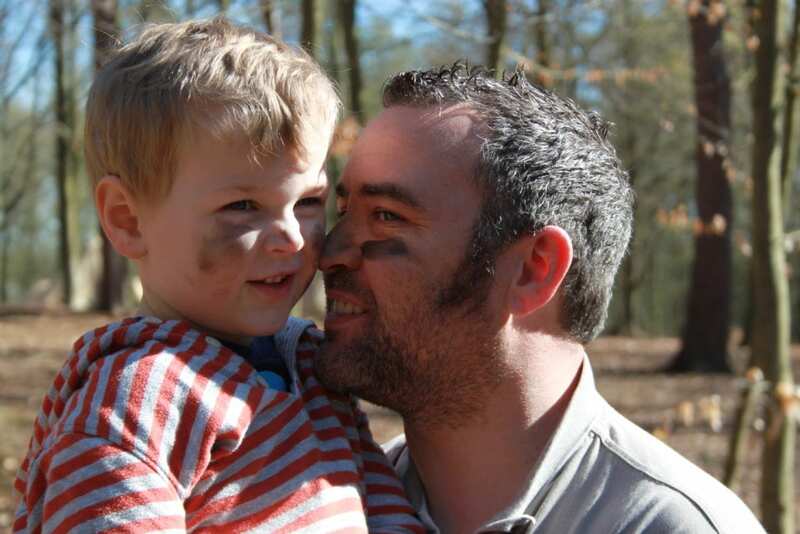 A great fun, but relaxing family day out. 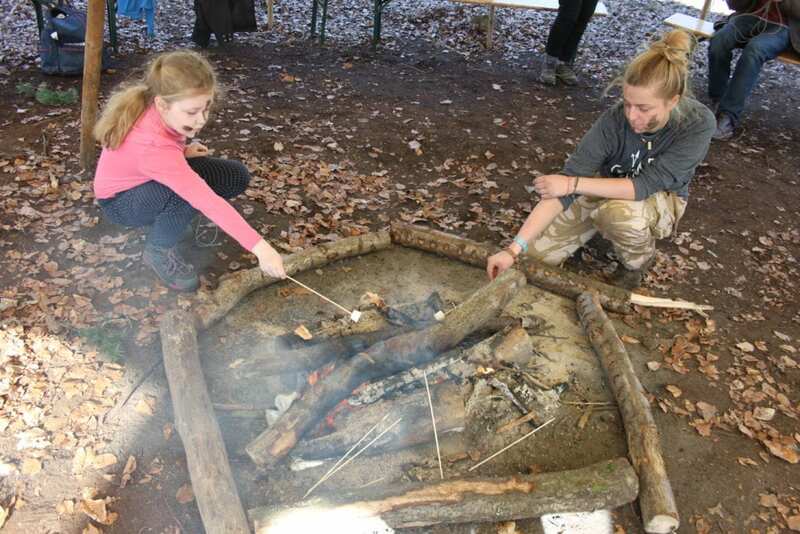 Camp Wilderness by The Bushcraft Company hold 2, 3 and 5-day residential summer camps for children aged 6-15 at 4 different locations across the UK throughout the school holidays. 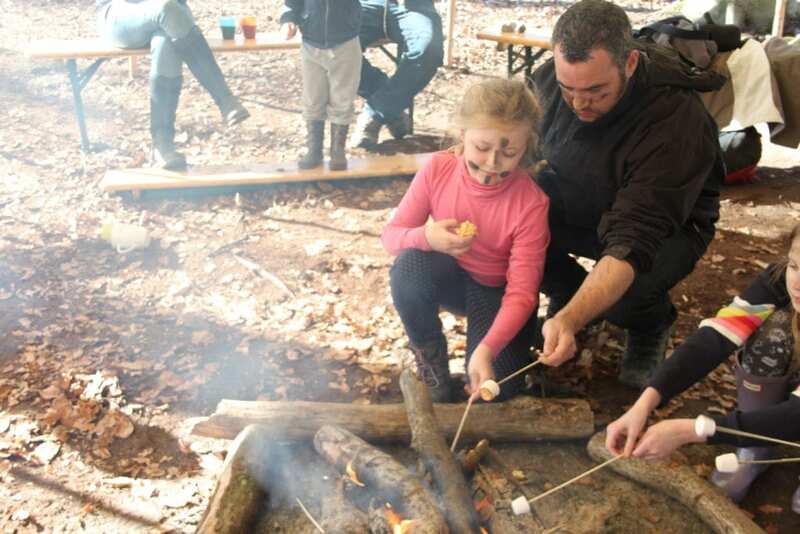 This year however they are also holding several free bushcraft family days at their 4 forest locations to give families and children of all ages a taste of what Camp Wilderness is all about. 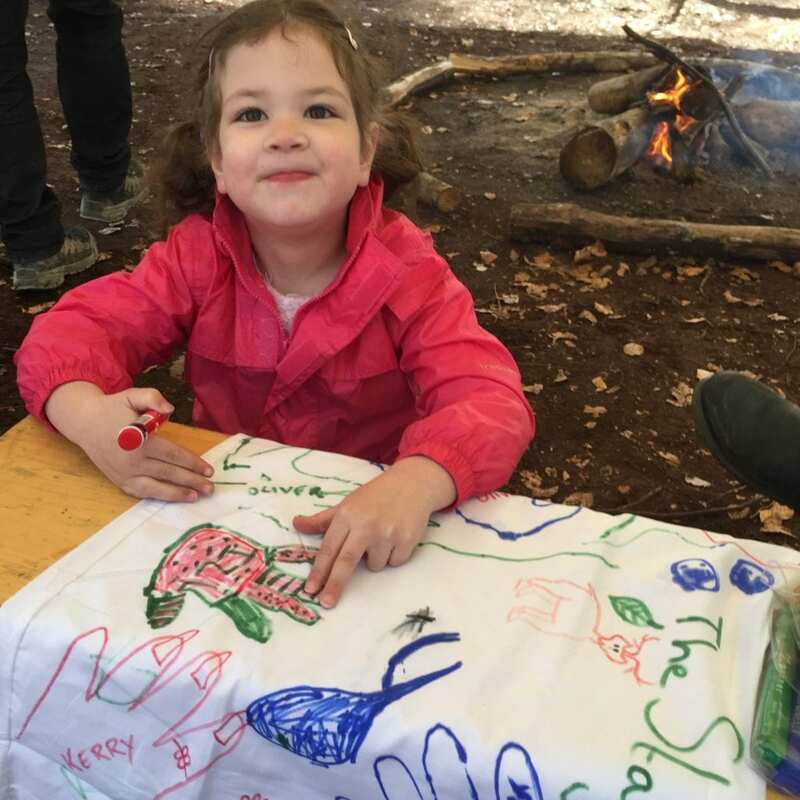 We were lucky enough to have been invited along to a family bushcraft day which took place in Hatfield Woods a few weeks ago. We were all very excited. As we arrived we were greeted by a very friendly team, and directed towards camp. The location was stunning, helped by the fact the sun was shining. It felt like we were in the middle of no where. 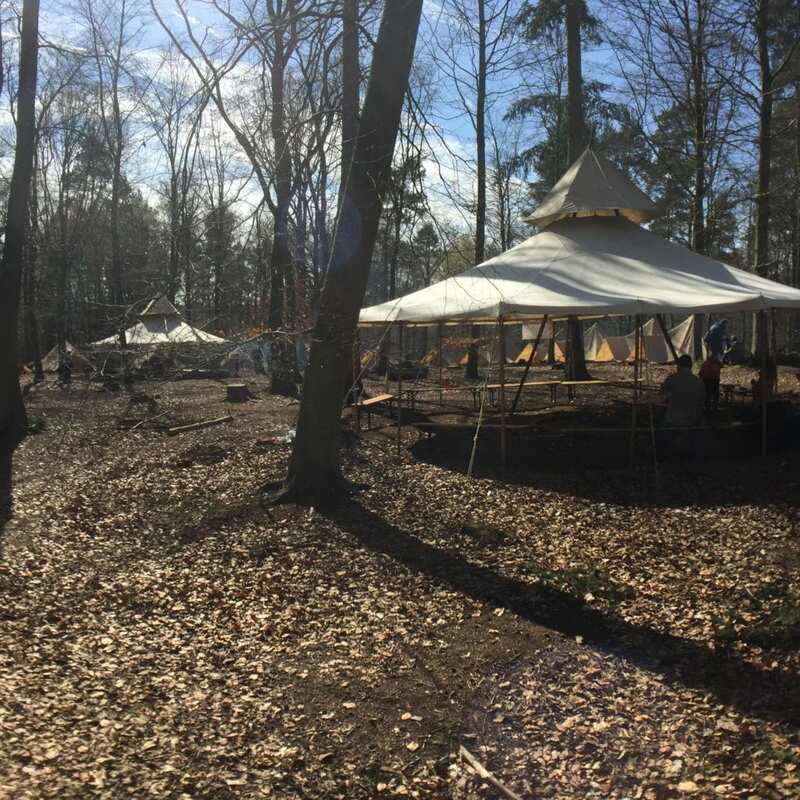 There were a couple of yurts in the middle, with fires at the centre and logs around the periphery to sit on. Fresh fruit, squash, water and of course tea and coffee were all available in the camp kitchen. 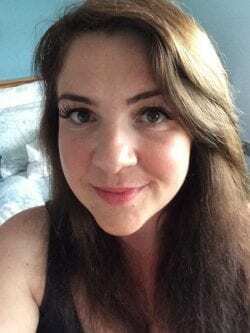 The minute we arrived I could feel the stress lifting and my shoulders sinking into a more relaxed state. We were one of the first families to arrive. 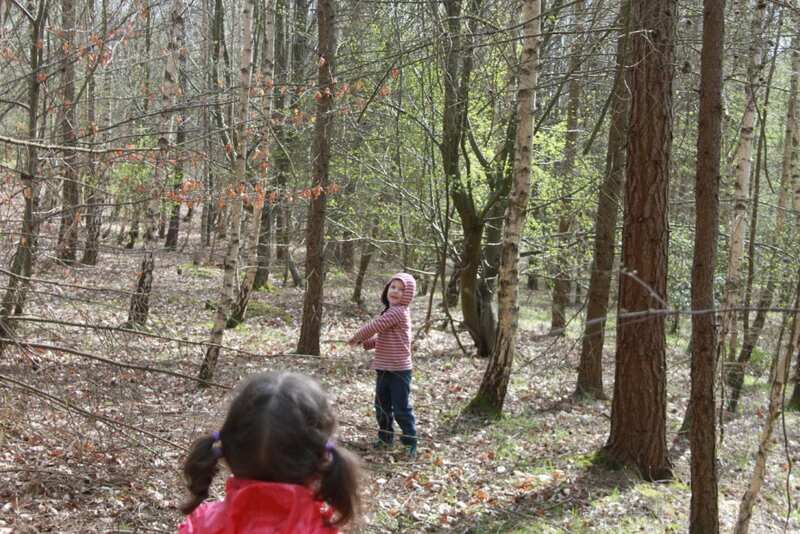 The kids felt at home straight away running in the leaves and playing with sticks and we sat with a cup of tea by the open fire whilst we waited for the group to assemble. We were split into two groups and went to our respective yurts. 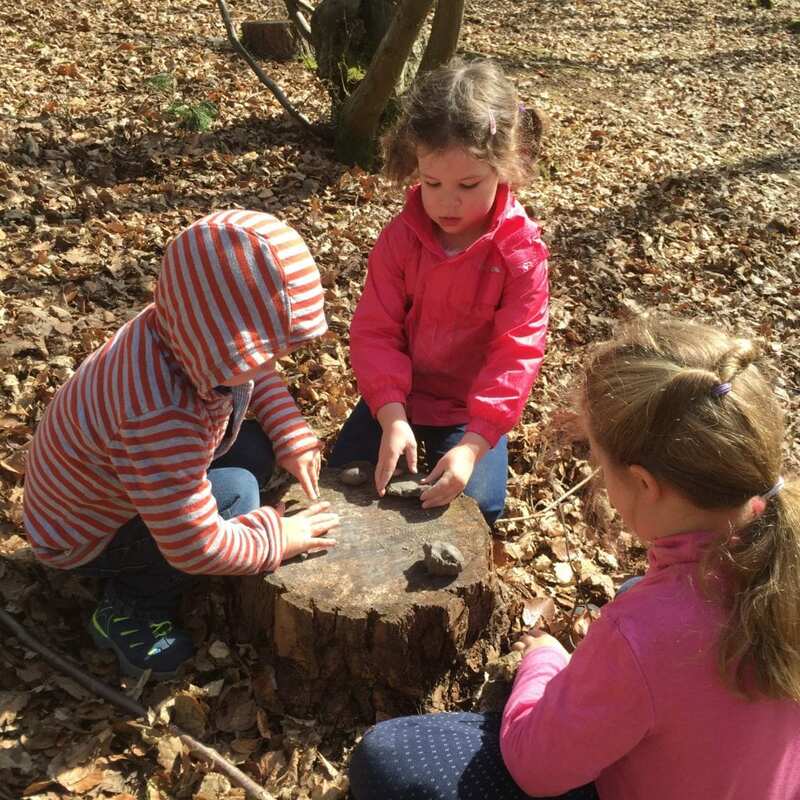 Each had a fire in the centre and it was our responsibility to keep the fire going all day. Not something you need to tell twice to the dads! We were then split into two tribes. Our tribe’s camp leader was Ruth and our tribe included Natalie from Diary of an Unexpectant Mother and her family, and later we were joined by Helena from Queen of Collage and her family. Our first tribal task was to come up with a name. Jasmine instantly came up with ‘The Stags’ and in the absence of any other suggestion, the Stags it was. The kids set about decorating our flag. 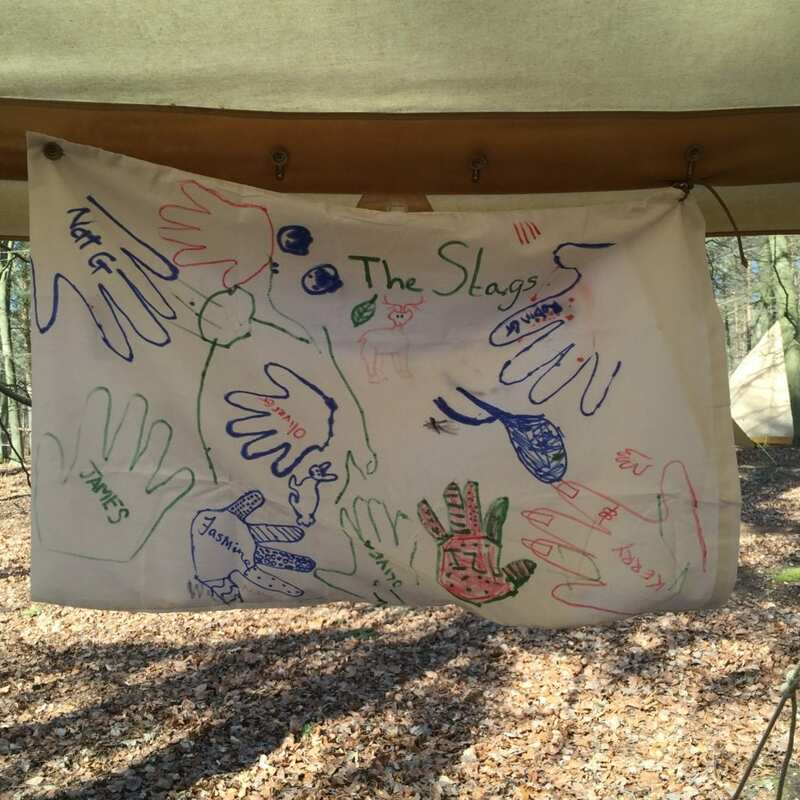 There was the obligatory stag, but also those common woodland creatures a whale and a diplodocus also made it onto the flag! Camp leader Harry then talked to the whole group about the fire triangle, and different ways to start a fire if you are out in the wilderness. We then in our tribes set off to find a good place to have a fire in order to cook our lunch. 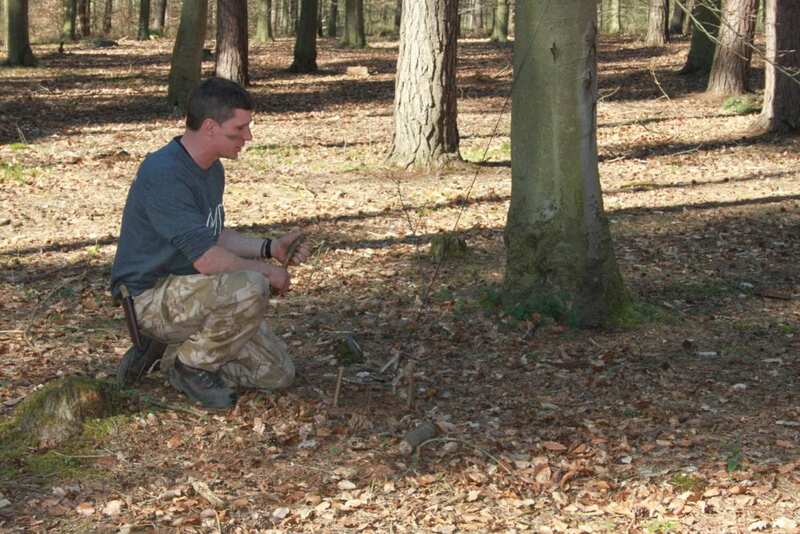 First job was to collect the sticks, something the whole family could get stuck into. Oliver however was more interested in playing with the sticks than collecting them! But he was happy and in his element. 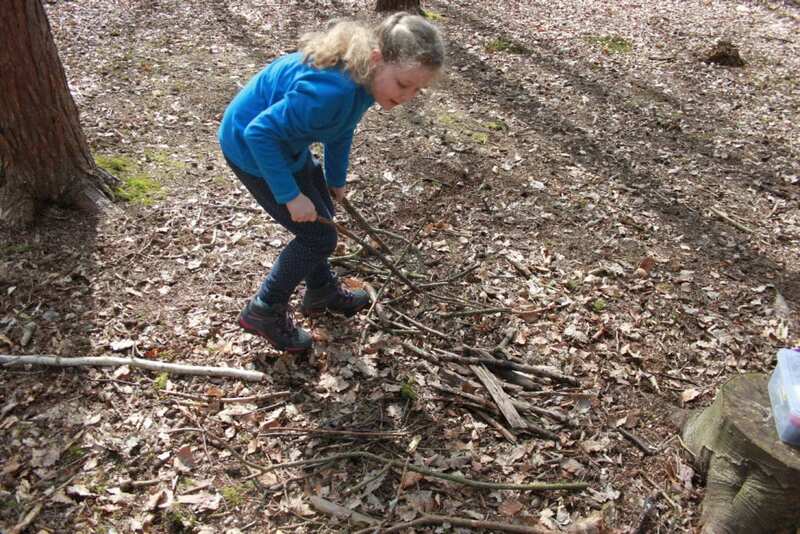 Jasmine did a great job of sorting the sticks into kindling and then larger thumb sticks and logs. 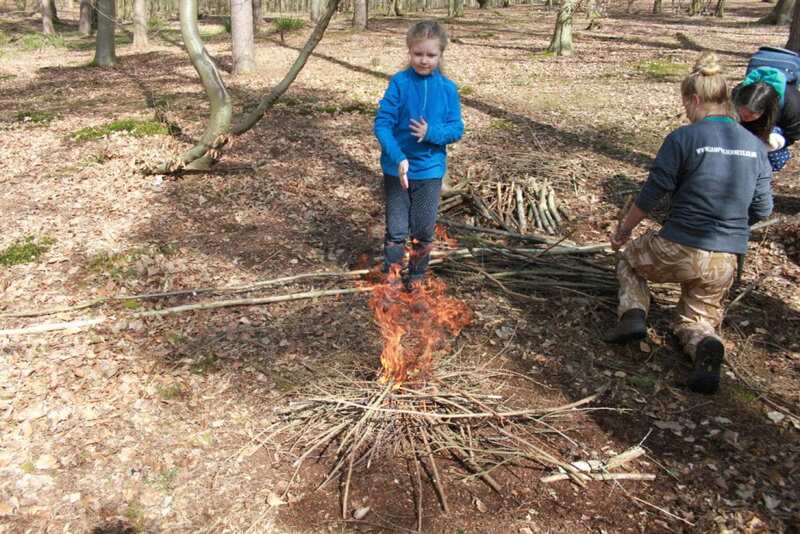 We all had a go at a few of the different methods of starting the fire. I tried with the magnifying glass. After some patience and a steady hand I got a leaf to smoulder, but it wasn’t going to cook our burgers! Jasmine had much more luck with the strike stick. 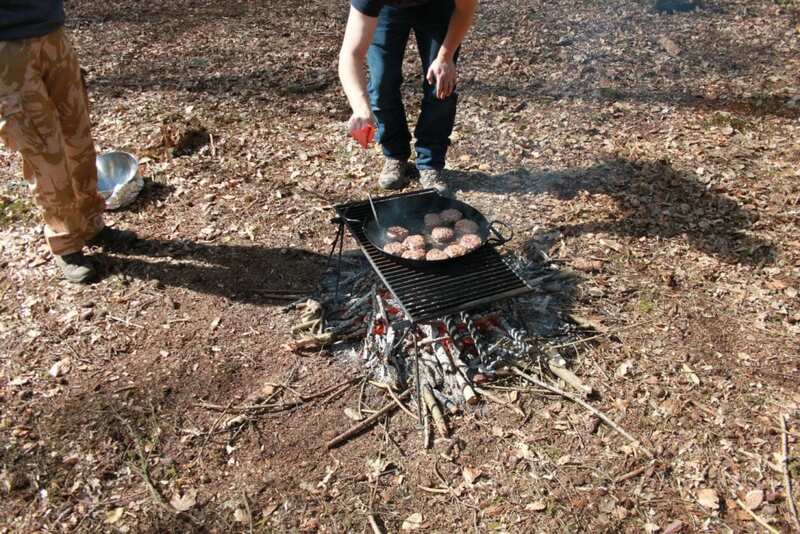 Once the fire was going it was time to cook lunch, and the burgers were on. 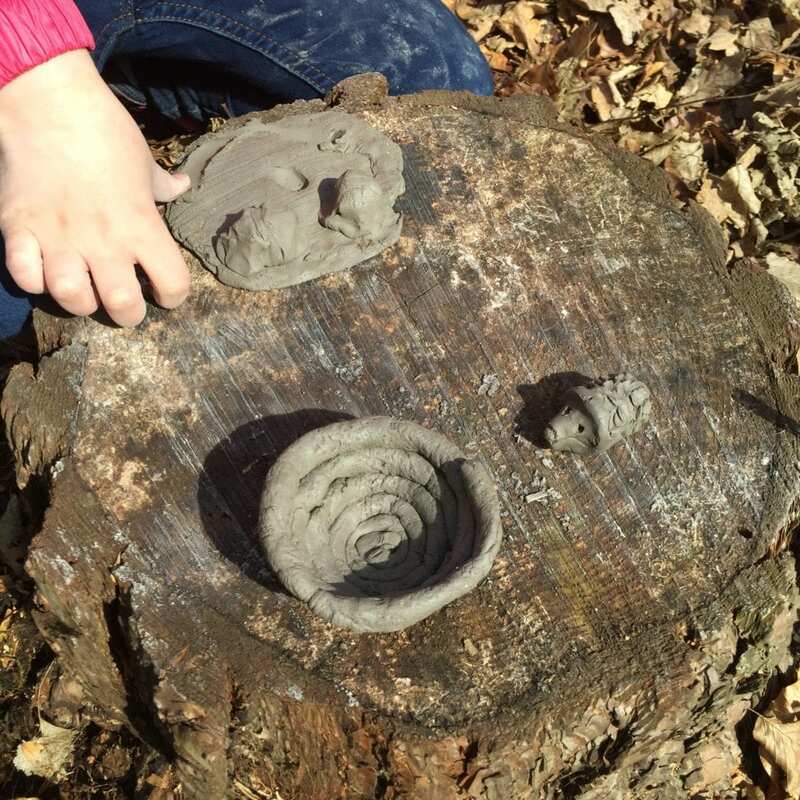 Whilst we were waiting, we were given some air dry clay to play with. The girls (and me!) being naturally crafty loved it and we made a few woodland critters and some coil pots. It wasn’t my finest ceramic craftmanship but we had fun. James also got stuck in and made his own coil pot, which I teased him about as it looked like a little ceramic poo! We ate our lunch sat on tree stumps and leaves with the sun shining down on us, and it all felt very serene and peaceful. After lunch we headed back up the hill to the yurts and Harry talked about the art of camouflage. 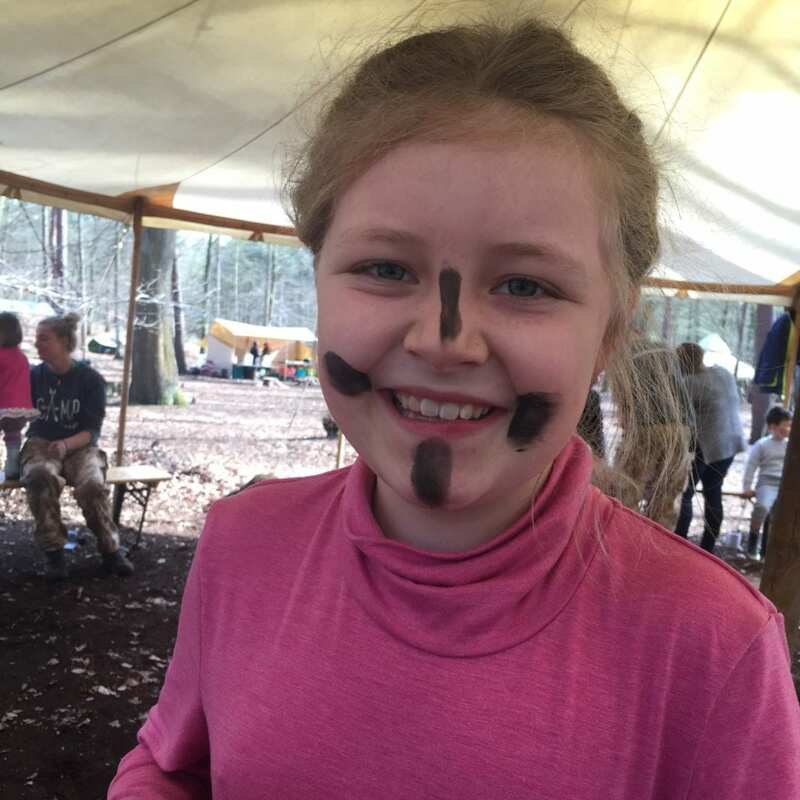 We then got to try out some camouflage paint on each other. The whole group got involved in a massive hiding game. I’m not sure what it was called, but it involved hiding behind trees and avoiding being seen. 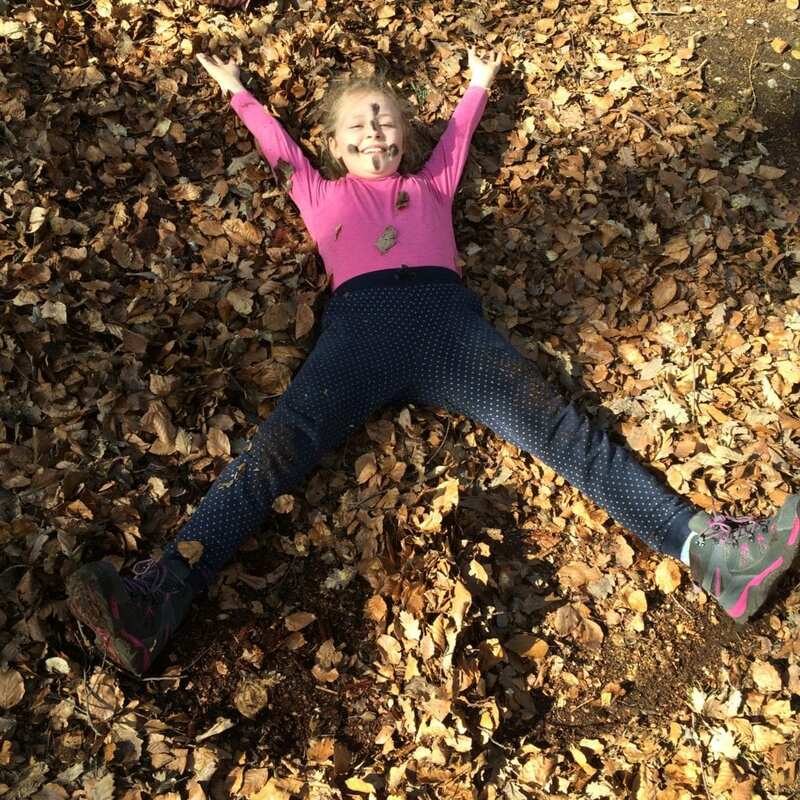 The kids were rubbish at it if i’m honest, but they had great fun trying and I got some fab photos of them playing the leaves and around the trees. After the games Harry talked to us about trapping animals for food if you were genuinely in the wilderness in true Bear Grylls fashion. 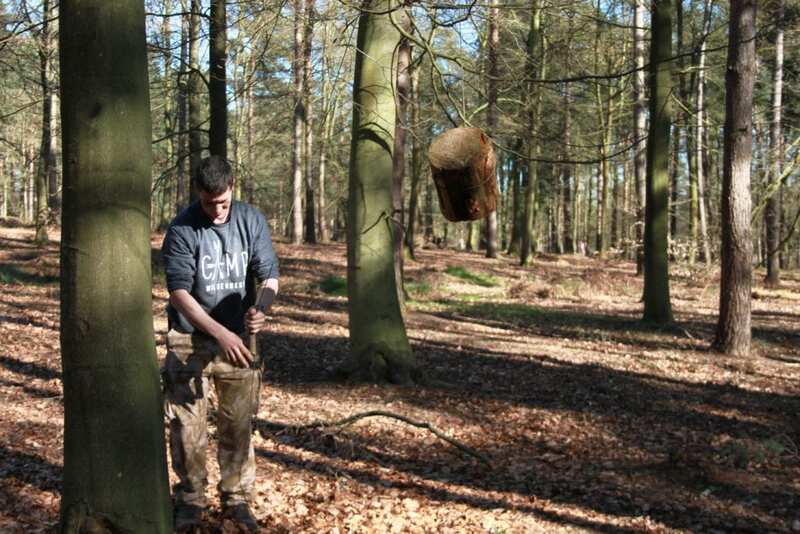 He showed us some homemade traps made from rope, wood and twigs. Oliver was too young to understand what trapping your own food really meant, but he was intrigued. Since then he has become obsessed with making traps at home for his toy dinosaurs! After all this activity, it was back to the yurts. We topped up with hot drinks; tea, coffee or hot chocolate and the kids munched on rice crispie cakes. 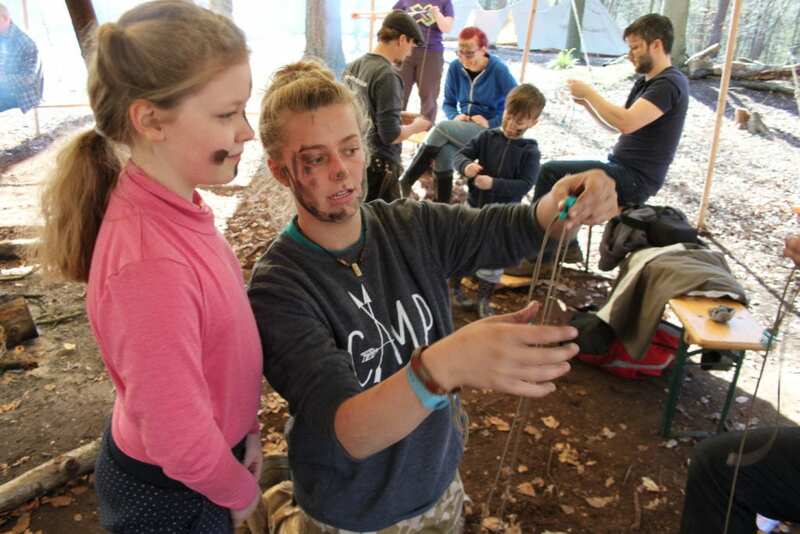 Our next task was to make survival bracelets, which involved winding and knotting long lengths of cord into short bracelets. This is so you can have a large amount of rope on your person when out in the wilderness which is necessary to build traps and shelters needed for true survival in the wilderness. It took a while to get the hang of it, but Ruth was very patient with us explaining the process. The whole day was wrapped up with toasting of marshmallows on the open fires which was sheer bliss! It was so lovely to spend the whole day outside. 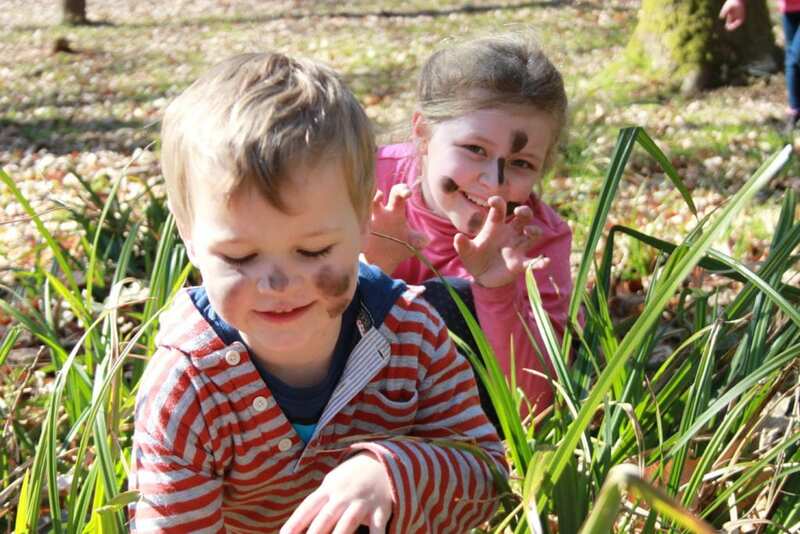 The kids had a great time, and were entertained throughout whilst learning about the great outdoors. As for me, I always have loved being outside and I felt very calm and relaxed. There is something about fresh air, I don’t know what it is, but we all slept very soundly that night. 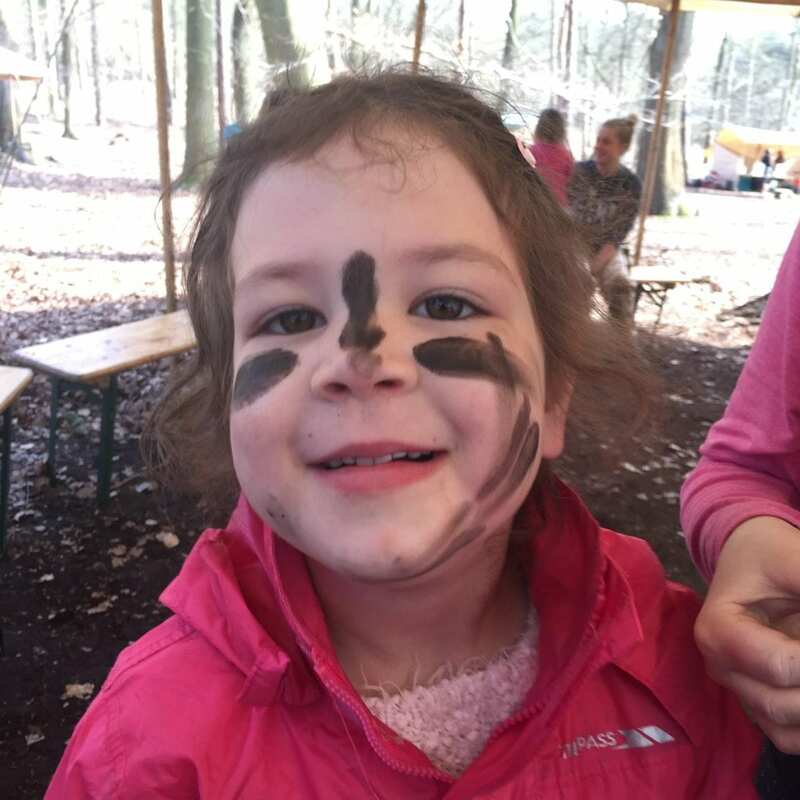 I think when Isla and Oliver are older I will be sending them to one of the Camp Wilderness camps. 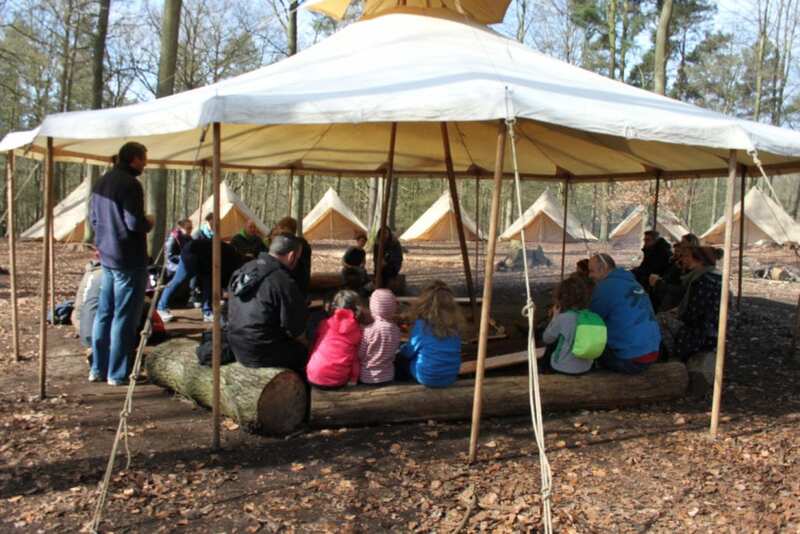 They would love the experience of camping in the forest and the tipi and bell tents look super cool. 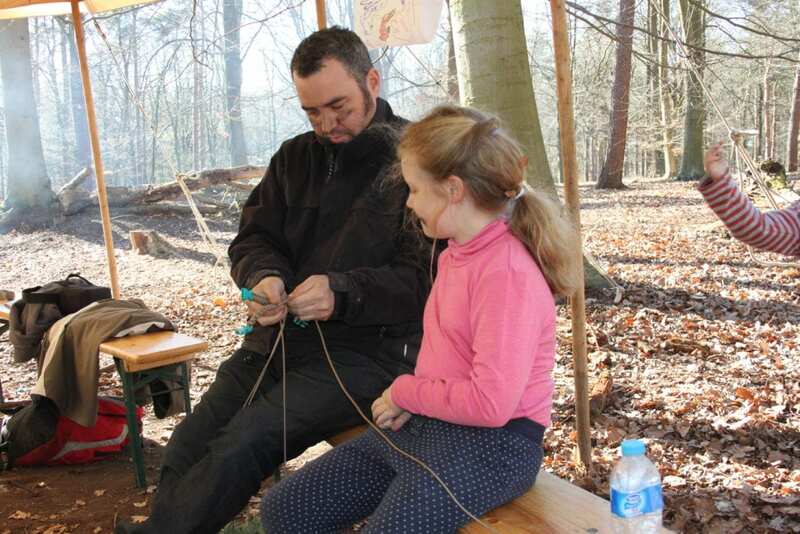 If you like the sound of our family Bushcraft day why don’t you go along to one of the upcoming free Bushcraft Open Days for families in April and May. 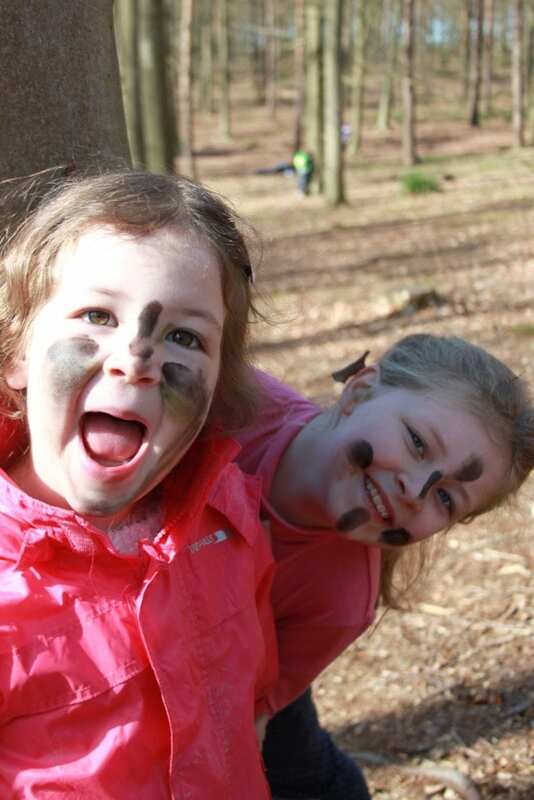 For more information you can visit the Camp Wilderness website, follow them on Twitter or like them of Facebook. 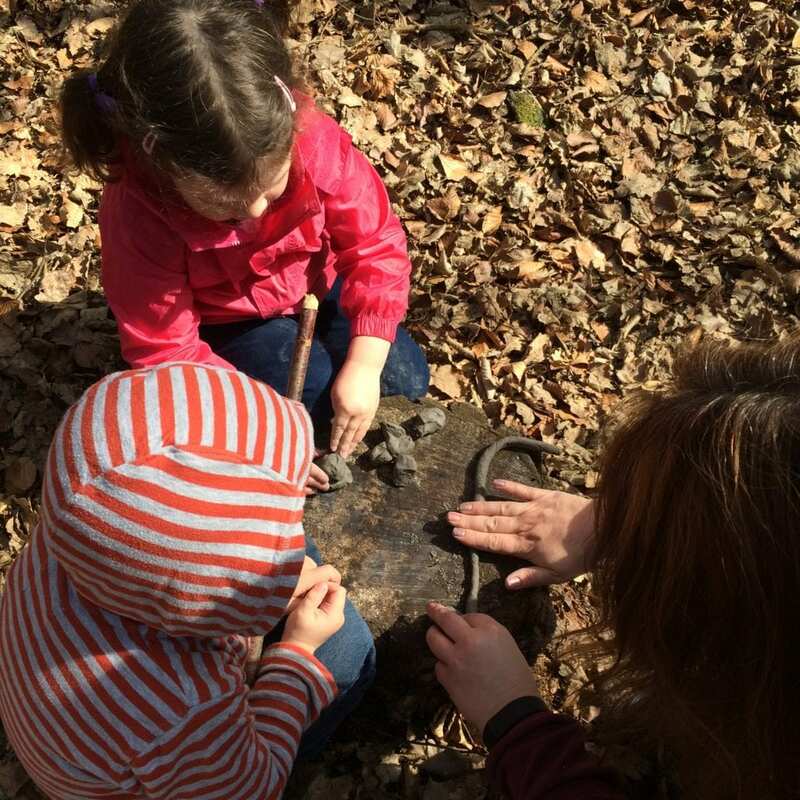 We were invited to this family Bushcraft day by Camp Wilderness in return for this blog post, but all words, views and experiences are my own.